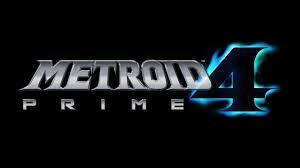 Never has a Nintendo game’s logo generated as much buzz as the Metroid Prime 4 logo briefly shown at E3 2017. It would be a shame if Nintendo did not take the opportunity to keep the hype train rolling with a trailer of some sort. Hopefully, it will be a full gameplay trailer, but don’t expect more than a cinematic movie. Announced last February, Fire Emblem Switch was given a 2018 release, but Nintendo and Intelligent Systems have yet to reveal any information for the tactical RPG. You can expect plenty of information for this game if Nintendo is going to stay true to the 2018 release, which is very likely due to the information on their financial report. This report made to Nintendo investors stated that the next Fire Emblem will be released this year. With the rumors and leaks looking more and more true, it is almost a sure thing that Pokémon Let’s Go Pikachu and Let’s Go Eevee are going to be shown at E3. Though it has a chance of being shown before E3 (a rumored leak stated that it will be shown by the end of May) it would be a huge misstep to not generate some talk about Pokémon at E3. That’s right, Nintendo is going to release 15 of the greatest 64 games ever this fall. Included will be Mario 64, Ocarina of Time, Banjo Kazooie, and much more. Though this may seem like a pipe dream to some, Nintendo just filed a trademark for the N64, and a while back they renewed a patent for the three pronged-trident of a controller. Trust me, the N64 Classic is going to happen. This rumor has been going around for a week or so now. Apparently, Retro Studios (of Metroid Prime fame) is making a Diddy Kong Racing inspired Star Fox game. Whether or not it is true is yet to be seen, but a kart racer with a robust single player mode sound like fun game! Those are my E3 predictions. Let us know what some of your E3 predictions in the comments! Adam “Tenders” Henderson loves Nintendo! Check out his YouTube Channel Gaming with Tenders.